There 76.5 million WordPress blogs on the internet ,which means 25% of all the websites that are live globally is based on WordPress. There is a huge demand of WordPress based themes in the online market and hence, there are numerous developers who are busy in making beautiful themes for us. Here I am listing the Top 10 premium WordPress theme developers worldwide. This is not a democratically polled or voted list but simply a personal Top 10 list based on my knowledge and reach in this field. They are almost a synonym for the most Beautiful and unique premium WordPress theme developers for a blog or CMS. Founded in 2008 by Nick Roach, ElegantThemes has been sticking to their principles of creating top notch WordPress Themes. 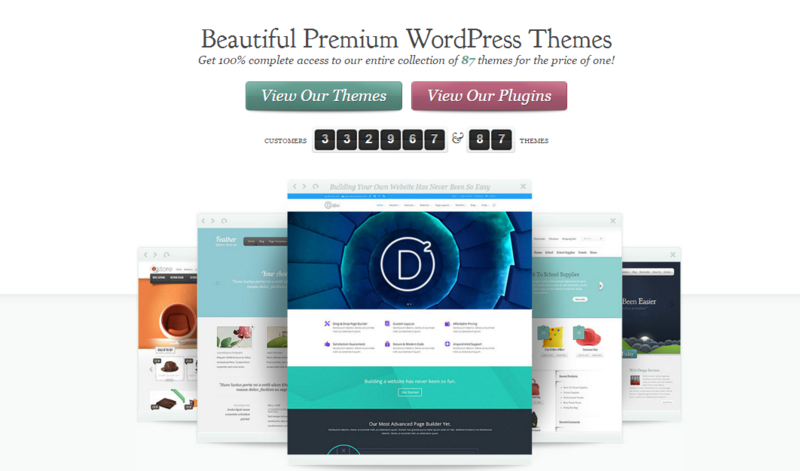 They currently have 87 premium themes in their showcase along with the most popular drag and drop theme called DIVI. Elegantthemes.com has already sold premium themes to more than 333,000 members and it has widely been accepted as the number one position holder for the list of global top Premium WordPress Themes Developers. 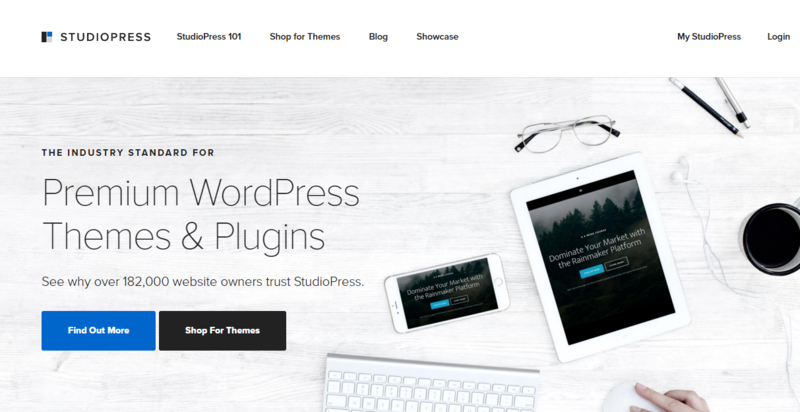 Studiopress is the pioneer in the premium WordPress theme industry. It was started by Brian Gardner, a self-taught web designer. They are the developer of one of the most secure and fast WordPress framework called “Genesis”. According to mashable. the genesis framework is “the ‘best of the best’ among WordPress premium frameworks”. They spent most of their time updating and upgrading their existing themes to fix bugs and compatibility issues so you can be assured of the quality of their themes. Their themes are trusted by more than 180,000 website owners. Price: StudioPress offers two kinds of package. Woothemes are well-known by almost every WordPress user because of their free WooCommerce plugin, which is a “must have tool” to create an ecommerce website. 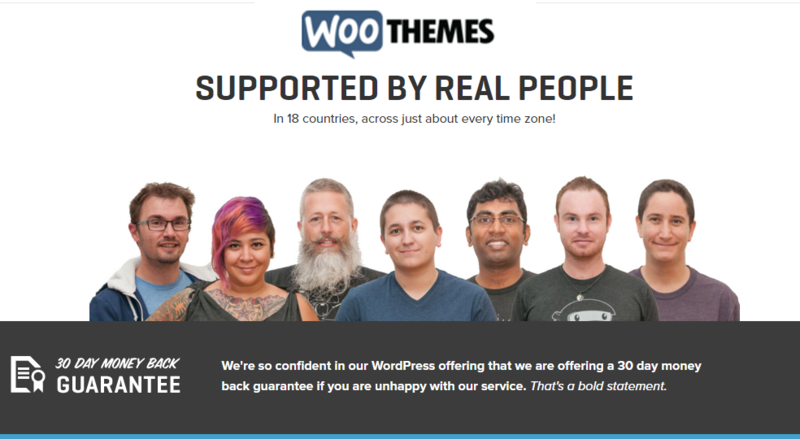 Initiated by 3 designers in 3 different countries, WooThemes has soon become one of the biggest WordPress theme providers with several dozen team members. In early 2013, they abruptly closed their affiliate program leaving thousands with a sudden and unexpected turn of events. While they continue to create themes, WooCommerce has become a staple part of their product offering. They now mainly offers premium WordPress themes, specially for eCommerce, business, portfolio and personal sites. 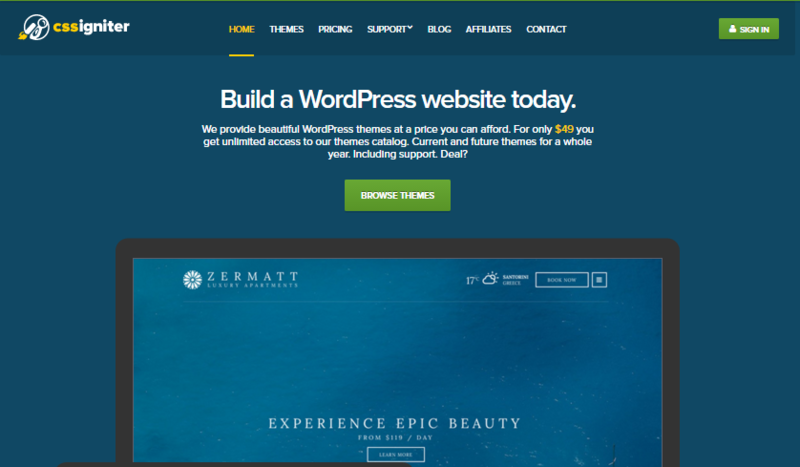 Price: Woothemes offer two kinds of pricing option. All themes package: $399 for all themes for one year. 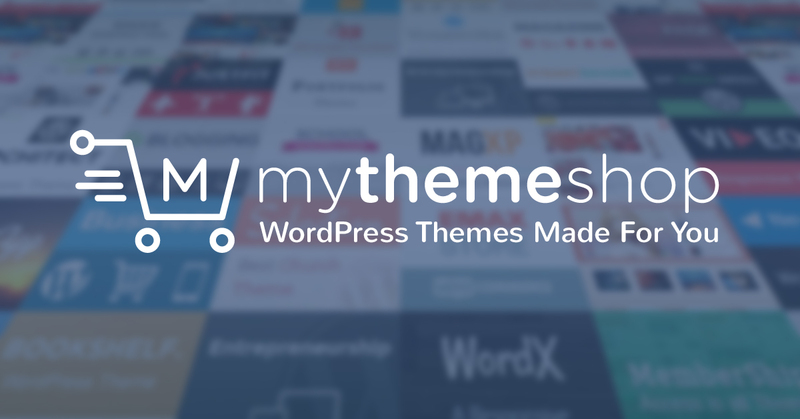 MyThemeShop is one of the fastest growing WordPress theme developers, giving amazing support and service to more than 3,30,000 happy customers from all over the world. It currently has 100 WordPress Themes and 21 WordPress plugins in their store including 25 Free themes and plugins along with the support. They are mostly known for their speedy blog and magazing themes and amazing after-purchase support. Price: MyThemeShop offers two kinds of pricing option. 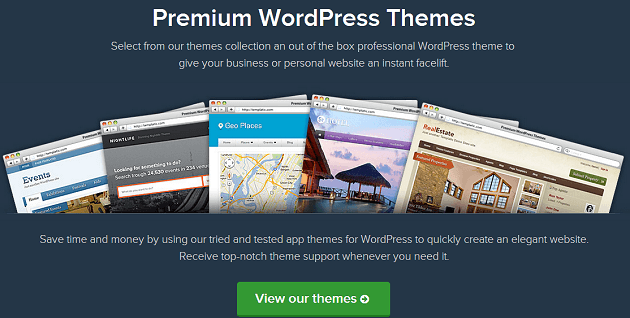 Templatic mainly creates premium WordPress themes for small business, pro bloggers. Directory themes, classifieds, business and ecommerce. They are one of the most known Premium Theme developers with a great portfolio of diverse and multi-functional WordPress Themes. 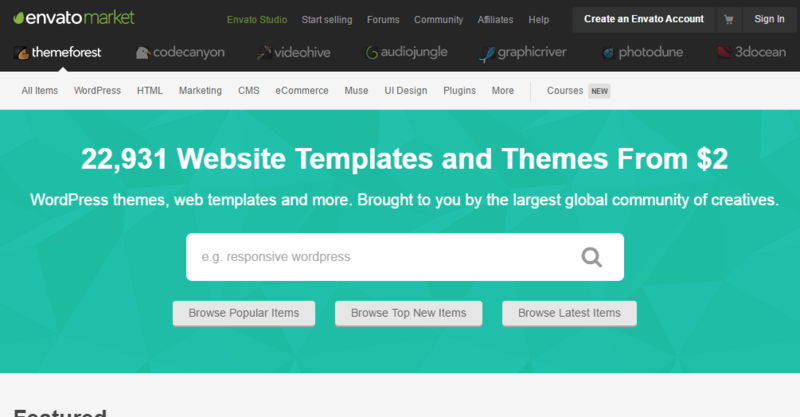 They are currently offering over 80+ wordpress themes and 40+ plugins. Templatic is undoubtebly considered as the number one app theme and directory theme soultion provider in the WordPress theme market with over 134,029 in-house members on their site. Price: Templatic theme offers three pricing options. Developer: $249 for one theme ( with .PSD file) which can be installed on up to 5 domain. The Club: $299 for all Templatic themes and dozens of plugins for lifetime. Designers at Themify have done lots and lots of work in giving the best possible visually appealing look and feel to all their themes. It offers a beautiful collection of responsive drag and drop themes that are highly customizable, mobile responsive and social media integrated. Ultra theme built by Themify is considered as the one the top drag and drop builder theme, which is also their flagship offering. The site provides plenty of flexibility to modify the layout and styling of your webpages. An active quick-response support forum ensures that users’ queries are answered promptly and effectively. They currently offer more than 40 premium WordPress themes and are trusted by more than 55,000 customers. Price: They are selling themes under three categories. 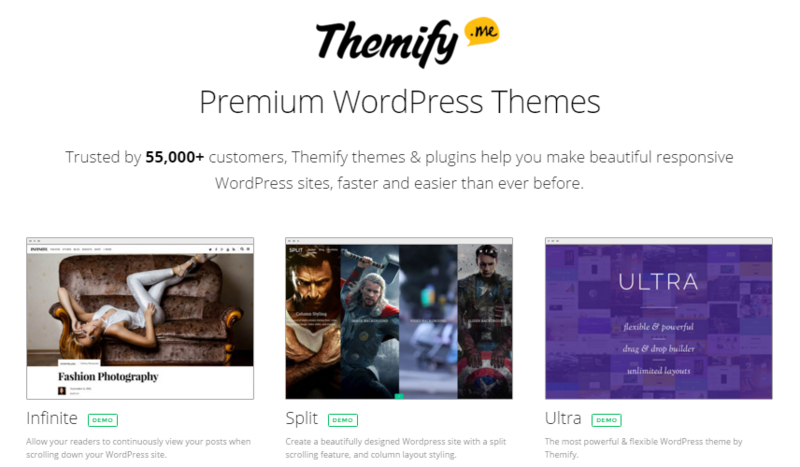 Themify Club Membership: $79/year for all Themify.me themes. Themeforest is not actually an individual team of developers who created WordPress themes, but a big marketplace for Individual developers and team to showcase and sell their themes or plugins using this platform. Founded in late 2007, ThemeForest has gone on to become the most popular WordPress Theme marketplace with an astonishing 22931 Premium WordPress Themes and website templates with starting price as low as $2.. Unlike many other “Theme Clubs,” ThemeForest allows authors to list their digital files (WordPress Themes, HTML Templates, etc) for sale so as to leverage the huge community of buyers that actively shop the ThemeForest marketplace. They are now part of envato market with 6,718,044 community members and have sold 9,959,820 item till now. 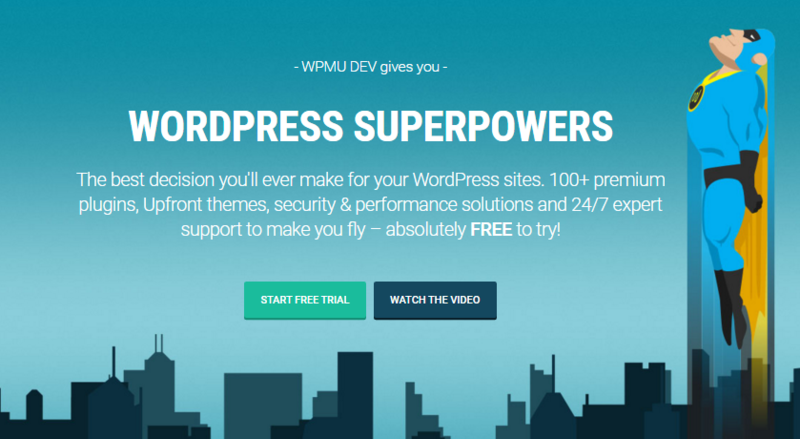 wpmudev is mainly known for their amazing WordPress plugins like Hummingbird, Defender, WP Smush Pro etc. and that is why they normally plugin first and then themes on their homepage and in all their promotional activities. They claim to have the most experienced WordPress expert on the planet. Now keeping this claim aside, it is still one of the best team of developers who have in-depth knowledge of WordPress core codes. They currently have 3,94,153 members on their site and offers 100+ premium plugins and upfront themes with 24*7 support mechanism. Price: WPMUDEV offers 14 days of free trial to everything they have to offer, after the end of this trial period, if you choose to stay on, you will go onto the $49 monthly membership which includes everything we have to offer for unlimited sites. CSSIgniter is also a well known WordPress theme club that currently offers 68 premium themes. They cover a range of topics and there is definitely something there for every type of project, whether it’s building an online store, a hotel website, a portfolio, or just a regular WordPress blog. Though many popular themes at marketplaces like ThemeForest are feature-heavy, multipurpose ones that are often accused of being poorly supported, inefficiently coded, and resource intensive, it’s nice to see a team like CSSIgniter offering an alternative, with cleanly designed themes which have been built for a specific purpose, and that haven’t been weighed down with excess features for the sake of it. Lifetime: $199 one time fee for all current and future themes with lifetime access and support. Themefuse is known for its minimalistic and clutter free designs. It provides an elegant, responsive, and well supported WordPress themes that cater to a reasonably diverse audience. It currently offers more than 30 WordPress themes categorised under blogging, ecommerce, responsive,corporate ,magazine, business, children, events, photography, health and fitness, non-profit and portfolio. 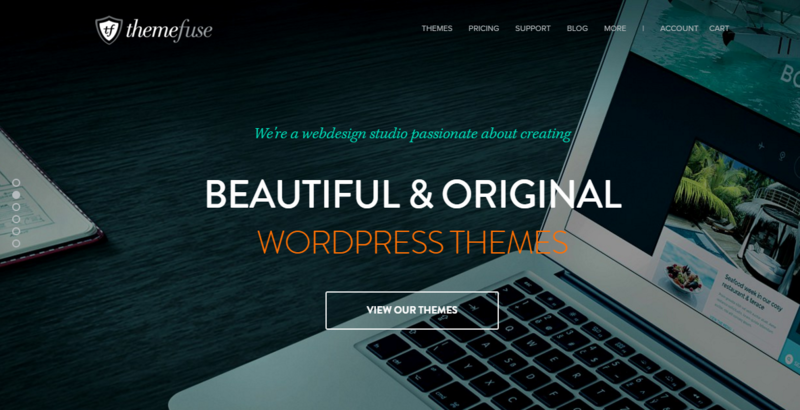 ThemeFuse offers a relatively small number of themes that are high on quality and diversity. With unique aspects like a slider bar and a Test Lab facility ( you can test a theme before buying it) , you can be rest assured that your website will continue to attract readers and customers. Single theme: The one premium theme costs $45/year. Bundle pack: Buy all Themefuse themes for $195/year.